This model is the Dinky 410-H-x Bedford CF Van in dark brown "Whitbread" livery. It comes with its Dinky 410 Black, Red and Yellow, high plinth, display. I have now been fortunate enough to obtain a copy of "The Great Book of Dinky Toys" by Mike & Sue Richardson which has a list of items on page 273 that were issued by John Gay. This model is included on that list but since the list is alphabetical, a full code cannot be assigned to the model as it is not known in which order the models were actually issued. This model has no working parts. At the front the headlights, grille, bumper, numberplate [cast lettering in silver: AM27K] have been painted silver. Each side carries a water-slide decal on the rear sides, "Whitbread" in White lettering. The rear lights, bumpers and numberplate are cast into the body casting but are not highlighted by any alternate colour. 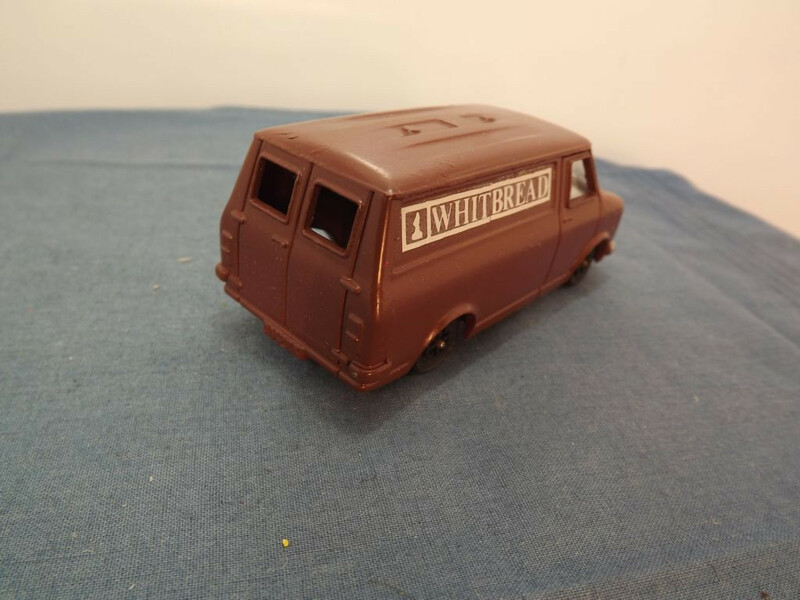 The rear doors (cast, non-opening) carry a cast "Bedford" badge. The roof is a "Type S" - ribbed roof with square in the middle. The interior is white plastic and the glazing is clear with moulded wipers and interior rear view mirror at the front and a line down each side door window. 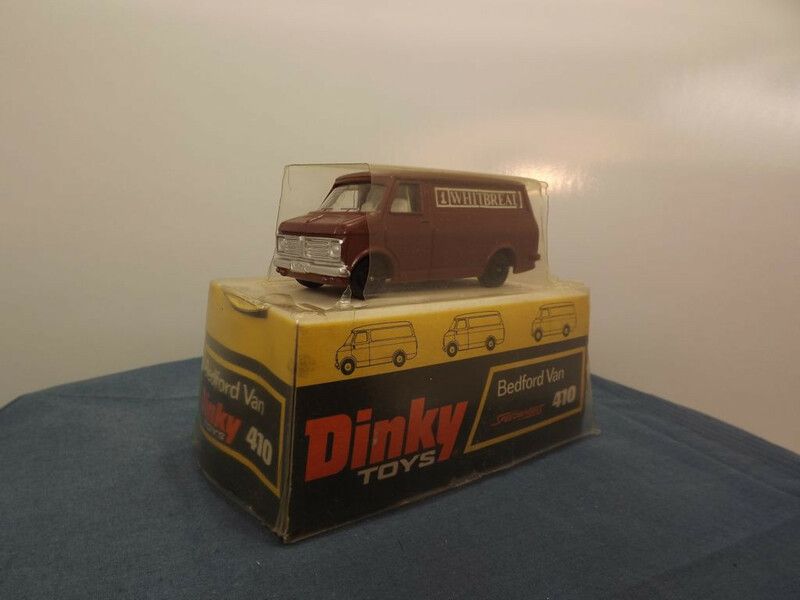 There is no glazing in the rear doors. All wheels are of the "speed wheel" type - hollow one piece plastic with a "black" 8 spoke center "hub". 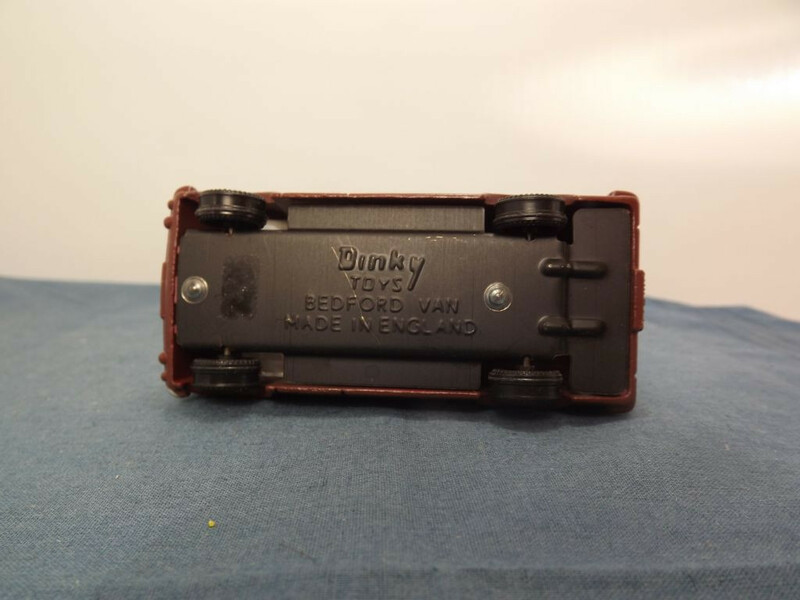 The base plate is dark plated tin plate and is marked with Dinky Toys on two lines at the centre top, "Bedford Van" in the centre middle and Made in England at the centre bottom. It is held in place with two machined rivets. 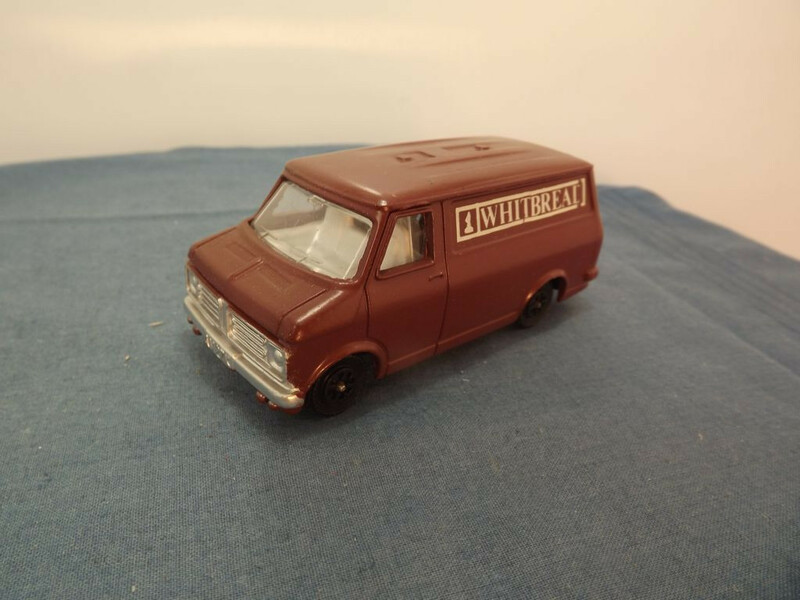 This model is thought to have been issued in the late 1970s.